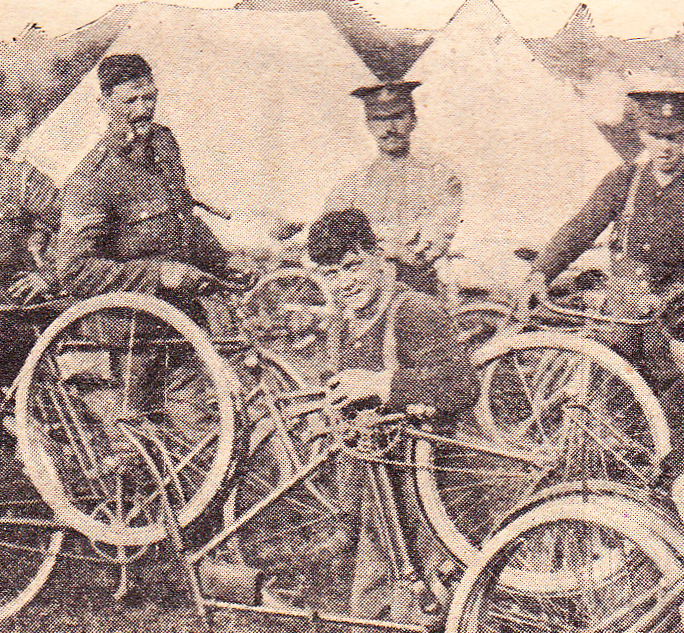 Recent references in the daily press to folding bicycles carried by German parachutists will recall to Great War cyclists that similar machines were in use in the British Army up to about the end of 1915. These machines were made by BSA about 21″ frames, 26″ x 1 3/8″ wheels, with upturned bars and pull up front brake, Eadie Coaster hub. 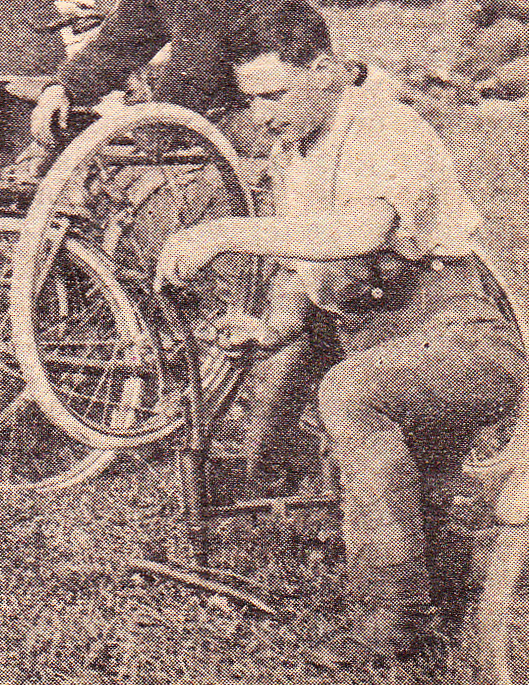 The top and down tubes were each fitted with a spring-loaded bolt which when pulled upwards and given a half turn to lock it out of position enabled the rider to fold the frame in half. The machines were handy and seemed quite rigid, about £35, appeared to be issued for training in this country and a much heavier regular pattern was issued overseas. The official name for this style of folding military bicycle, according to the War Office description, was ‘Machine, Folding, General Service.’ They were made in large quantities for WW1. This example was presumably made by Phillips or BSA toward the end of the war as a lighter-weight version. The Phillips model I’ve seen has a vertical tube between the folding lugs, while this one follows the style of the BSA. This ‘Empire’ has a 22″ frame and 26″ wheels, and weighs 38lbs (17kg). It is fitted with a Perry Coaster. 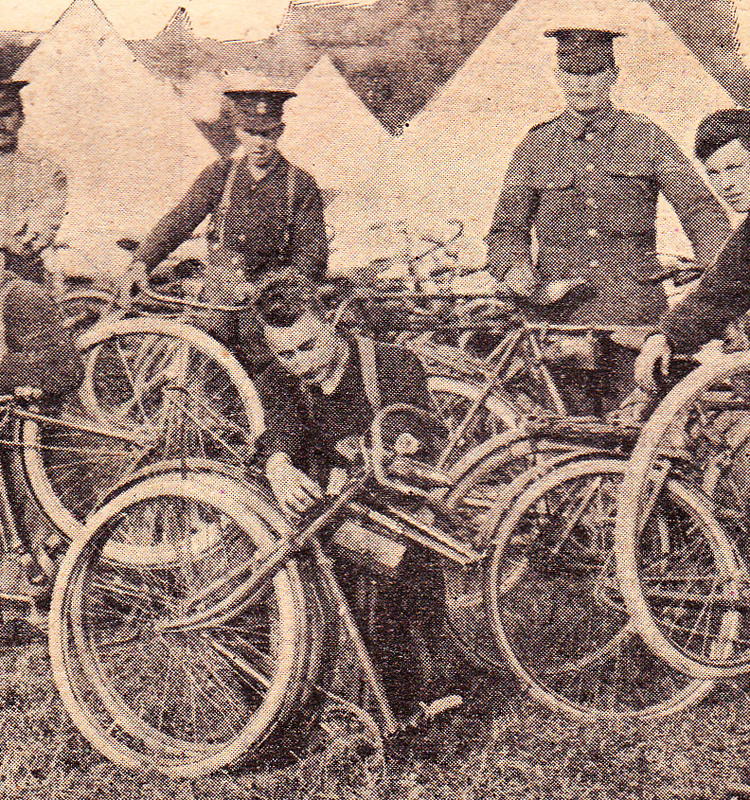 There are reports of trials of the various types of folding military bicycles taking place in the early years of WW2. 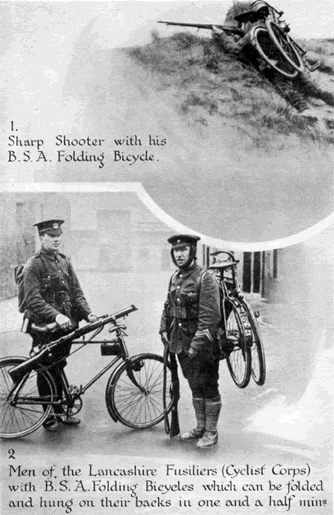 Because the WW1 pattern was a heavy machine, the Ministry stipulated that any new folding bike needed to weigh under 23lbs so it could be used by paratroopers. 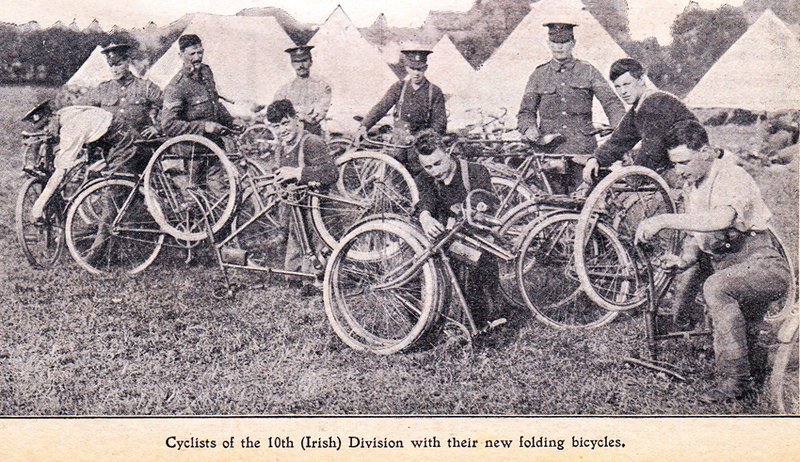 I’ve not seen any reports of the WW1 pattern folding military bicycle continuing in general production after WW1. As far as I know it was more a case of the pattern not being superseded until WW2. As the style of this Empire is similar to WW1 models, it was probably unused, and either sold through the trade as surplus or subsequently rebadged by the manufacturer as an ‘Empire’ for resale abroad. The ‘Empire’ is in good condition and ready to ride. You can see below why a coaster brake was fitted to the folding bicycles: with only one brake lever, the handlebar fits more easily over the saddle. As you can see from these three photos of my friend Anthony’s WW1 Phillips folding bicycle, that company’s folding frame design was quite different.